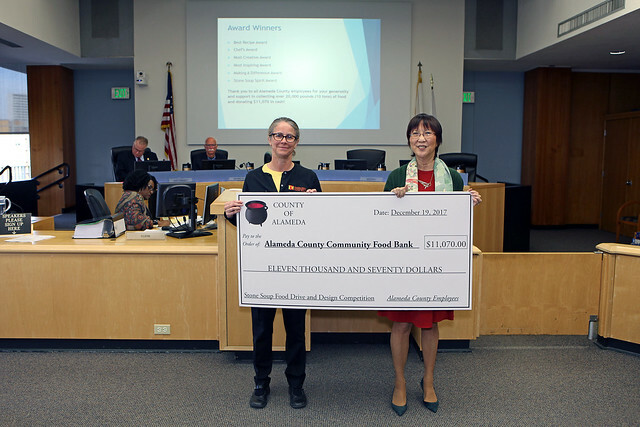 The 6th Annual Alameda County Stone Soup Food Drive and Design Competition is underway. This food drive combines charity, creativity and the spirit of healthy competition to promote giving. Many County Departments coordinate efforts to create stunning presentations made up of the donations they collect. These presentations can have a deep message, interesting visuals or large-scale constructions. More information and images about the Alameda County Stone Soups Drive can be found here. Donations are distributed through the Alameda County Community Food bank. If you’d like to donate click here!